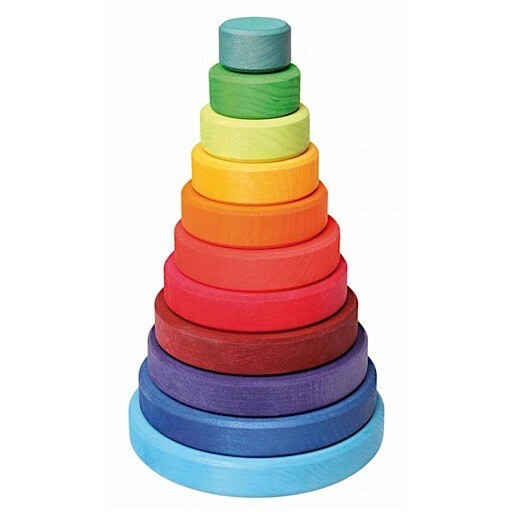 With the large Conical Tower the children can sort, stack and build. While stacking, the eye-hand coordination is stimulated and fine motor skills are trained. Ten discs for stacking. 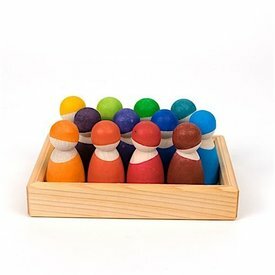 Handcrafted in Germany using sustainable wood and non-toxic dyes. Dimension: 8.25H inches.